If you have children of ANY AGE then don’t miss this stop! This chart topper is one of the Key’s Top 10 Must Sees and appears on any and ALL lists I’ve ever seen! Robbie’s Tarpon Feeding is truly a sight to behold, if you’ve never seen hundreds of fish waiting for a free hand out in an ocean atmosphere then this place is for you. 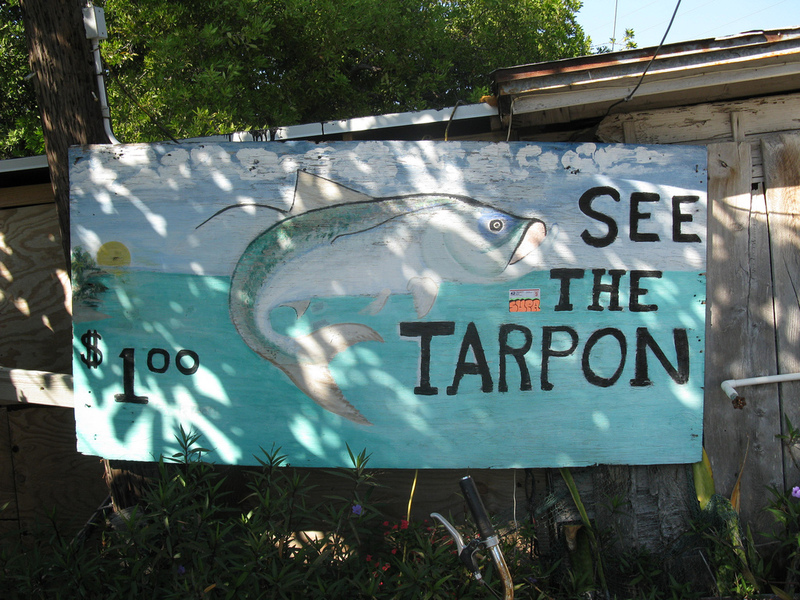 It ONLY cost $1.00 to walk out on the pier and see the wild and free ocean swimming Tarpon but does cost an additional $2.79 more to feed them if you chose. 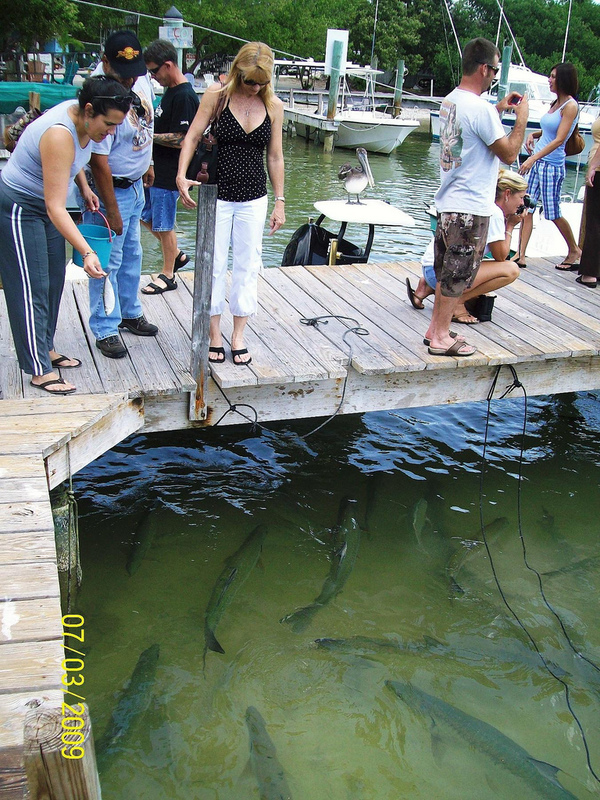 As you watch the Tarpon, they are in turn ALL watching you and I mean watching you. If you watch closely when someone is going to toss a fish out to the masses, the Tarpon already know the angle in which your arm is turned and are already swimming in that direction to retrieve your offering. This is the darndest sight you’ll ever see of feeding in the wild and will be remembered forever and it only had cost you $1. Parking is FREE for Robbie’s patrons, there’s also a restaurant & small souvenir shops awaiting your vacation dollars. 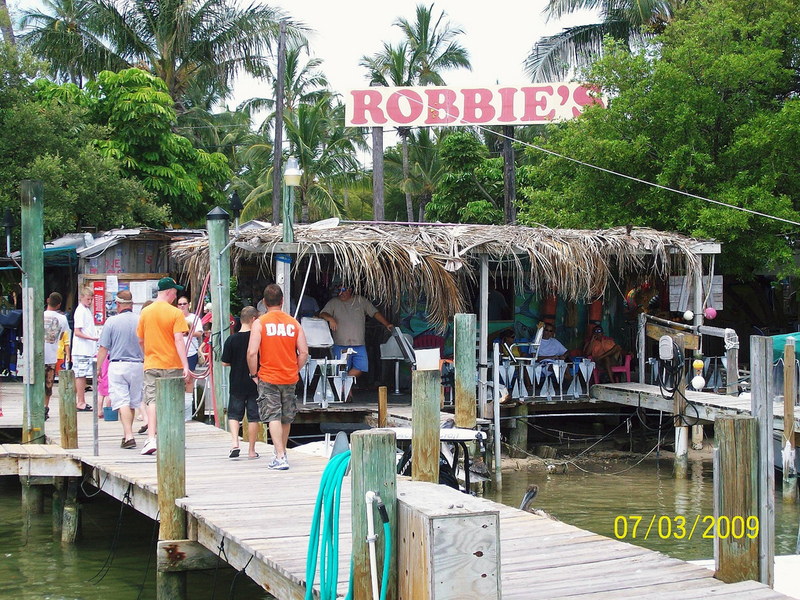 You can find this free-for-all feeding frenzy at Robbie’s located at Mile Marker 77.3 bayside on Lower Metacumbe Key, Florida.